This female Orange Sulfer butterfly spent quite a while feeding on this particular California Giant Zinnia today. Photos make it much easier to see the proboscis inserted into the actual flowers in the center of the composite bloom. Here is a quick video...I wish you could more easily see the vigor with which this butterfly was feeding! 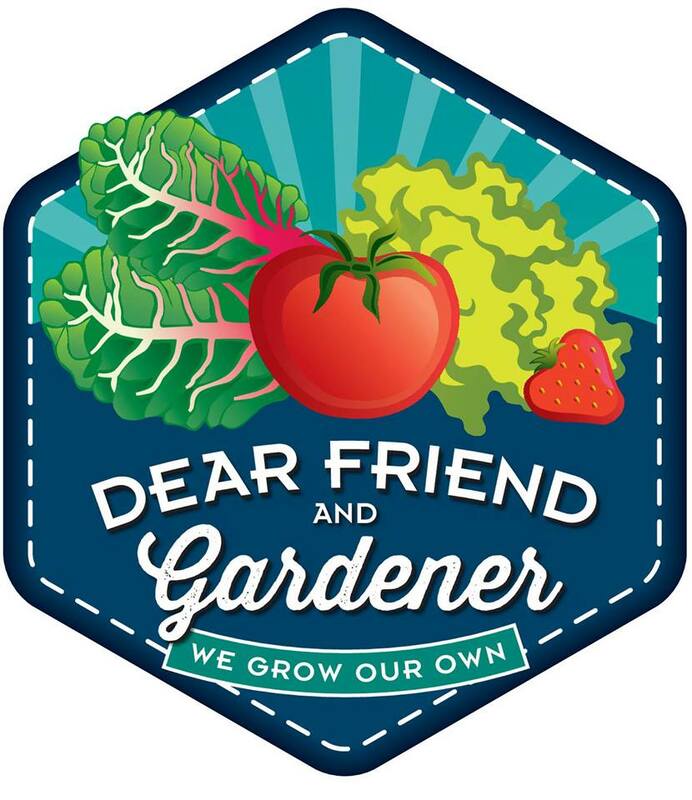 On the 15th of every month garden bloggers around the world join Carol at May Dreams Gardens for Garden Blogger Bloom Day. Not only is it fun to see what is blooming everywhere else in the world, it is sometimes useful in reminding the gardener to check on what is blooming out back. I would have said there was not much going on here aside from some Energizer Bunny plants that just keep on blooming. And while that is pretty much true it is also true that that means there are plenty of blooms to enjoy. Sometimes those almost-constant-bloomers become a bit overlooked after pumping out blooms for a few months. Or, as is the case with lavandula pinnata bucchi, for almost the whole year. 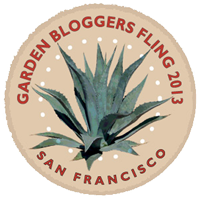 Garden Blogger Bloom Day is a great reason to focus and be grateful for those stalwarts yet again. Bat face cuphea will always remind me of Annie/Kathy of The Transplantable Rose who first posted a photo of this sweet plant some years ago causing me to hunt around and find one for my very own. This small flowered sunflower is a garden favorite here due to its several month bloom period and ease of cultivation. The abutilons are grown with other shrubs to provide support for their somewhat gangly growth. This miniature rose, a gift several years ago, had resumed blooming after a summer respite. While I didn't find anything overly exciting on my bloom hunt it is still true that, as Carol tells us in quoting Elizabeth Lawrence, " We can have flowers nearly every month of the year". I've been to Filoli in the heat, the rain, the fog. Today was a beautiful, clear, crisp fall day. Every visit has been fun and an occasion to discover something new. Filoli was built as the country escape for Mr. and Mrs. William Bowers Bourn II. Bourn was a rich gold mine owner and owner of the company that supplied San Francisco's water. The grounds are elegant in some areas, utilitarian in others, and rustic in still others. Today Filoli belongs to the National Trust for Historic Preservation and is open to the public February through October. The first floor of the house is also open for viewing, something we skipped this time. I am not a big rose fan but the roses here are enjoying a fall flush of blooms and were quite pretty. I wish I had asked someone how long the apple espalier row is...suffice it to say it is many trees and many yards long. It was beautiful today since it was loaded with apples! The knot garden requires much maintenance and doesn't always look good, especially if it has been recently pruned as it has been several times when I have seen it. This time it was glorious! We spotted a path we had never been on before which was exciting. A docent told us this area is being developed to allow access to the new daffodil meadow that has been planted. 15,000 daffodils were planted in 2008, 50,000 more in 2010 and even more since then. She encouraged us to return next spring to see the result. At that time all the other daffodils will also be blooming...some of them descendants of bulbs that have multiplied for years and years. We also spotted this tree along the path and didn't recognize it. Friends of mine have identified it from this picture as a type of hawthorn...something I hadn't seen before. That is one reason I like to return to Filoli again and again...there is always something new to see!